As an actor-turned-immersive event expert, I’ve made a career out of creating inclusive experiences for audiences, guests, and clients. One of the key factors to our success, which has and continues to set us apart from our competitors, is our ability to create a unique client experience for every event. When we first meet with a client they are always seeking that je ne sais quoi, that ‘wow’ factor, yet often have little idea as to what it is. There is a general consensus that if we secure a Celebrity Chef, the viewing gallery of the Shard or Dynamo the Magician then all the guests are going to be incredibly impressed and have a wonderful evening. But think of an occasion that you have attended, but never forgotten. Of course the food was good, the venue was impressive, the wine was perfectly chilled but what was that thrilling moment that you will never forget? When designed around ‘client experience’, a corporate event can go from run of the mill to the ace in your deck. Events done with purpose can – and should – be a secret weapon in your marketing and new business arsenal, working its magic on claiming mindshare well after the event is over. But how do you “tell your story” and create that truly great client experience? To put it simply, your guests must be engaged, amazed and blown away. Consider an immersive event to be a precision vehicle, like a Lamborghini, in “telling your story”. Delivered at speed, with emotion and powerful word of mouth that lives on well beyond the experience. I’ve had the pleasure of carving out a career that puts me in the driver’s seat of that storytelling machine. For nearly 2 decades, Private Drama has championed the power of immersive theatre in brand storytelling. For us, guest experience is as central to event design as is exquisite food, jaw-dropping staging and scene-setting music. Success is measured out in awe-struck faces, gasps, applause and the retelling for the days, weeks, and months following. This cocktail of client satisfaction, interface and corporate interaction is what drives business. We recently were asked by a global corporation’s Event team to create a gala dinner which could match the standard set by the hospitality at the Olympics, to which we responded with a hugely conceptual and theatrical event designed to position the company as a leading example in arts partnership. 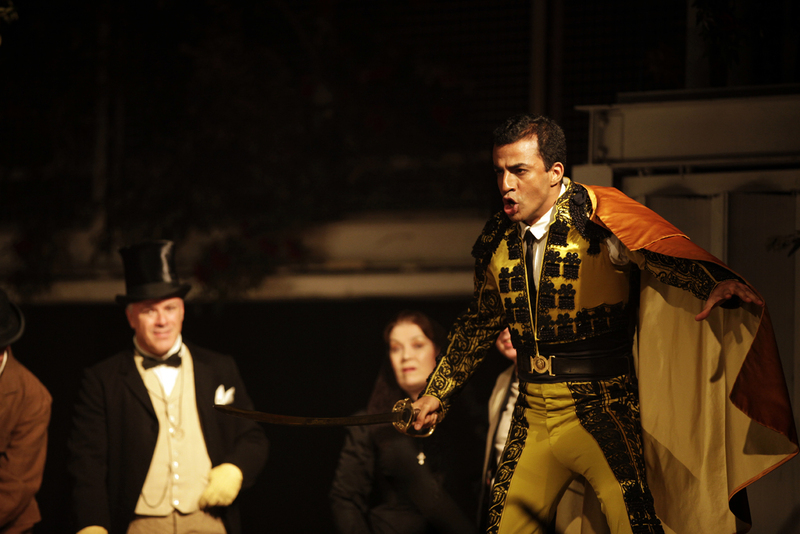 Guests were treated to an unprecedented recreation of the Royal Opera House’s “Carmen”, staged for the first time outside of the traditional theatre stage. We created a living tableau of Seville in a deserted car park in Oxford Street, turning a corporate dinner on its head by making the guests inhabit the world of the story, and crediting the blue-chip client with this once-in-a-lifetime experience. This was a story that none of their competitors could tell and certainly brought to life a facet of our client’s business culture that many of their customers had never experienced before. An immersive evening of entertainment tapped into the emotion, the sense of wonder, and the attention spans of extremely valuable clients – that is a story that will be told by a key audience for a long time to come.